The Texas secretary of state submitted additional information to the Department of Justice on Tuesday in an effort to ensure the state’s controversial voter ID law is implemented on time. The Texas secretary of state submitted additional information to the Department of Justice on Tuesday in an effort to ensure the state’s controversial voter ID law is implemented on time. It's unclear, though, whether the data Texas provided will allow federal voting officials to determine whether the law would disenfranchise minority voters. The bill, SB 14 by state Sen. Troy Fraser, R-Horseshoe Bay, is scheduled to take effect Jan. 1. But the timeline appeared in jeopardy last month after the DOJ said it needed additional information to ensure the law would not infringe on the voting rights of certain minority groups. The law, which Gov. Rick Perry deemed an emergency item during the legislative session this year, would require voters to furnish a state-issued photo ID before casting a ballot. Under Section 5 of the Voting Rights Act, the Department of Justice or the federal courts reserve the right to review laws that affect voter participation before they are implemented. The Department of Justice initially said on Sept. 23 it did not receive adequate information in the state's application for preclearance to determine if the proposed changes would negatively affect minority groups. The department wanted to know the racial breakdown and counties of residence of the estimated 605,500 registered voters who do not have a state-issued license or ID, and how many of them have Spanish surnames. It requested the same information for registered voters who do have valid IDs. The state, though, does not collect race information from voters. So the secretary of state instead submitted to the Department of Justice a list of all the Hispanic surnames in Texas, as recorded by the U.S. Census Bureau. It offered to check that list against the list of registered voters to determine how many voters have Hispanic names. The DOJ refused to comment when asked last week if the state’s inability to provide the racial breakdown as requested would delay or even prevent the preclearance request. The secretary of state also gave the Department of Justice a spreadsheet showing how many registered voters reside in each county as of Sept. 16. It shows how many voters did not provide an ID when they registered to vote, how many voters did not provide an ID but whose records matched an ID record in the DPS database (which means they have been issued an ID) and those who did not provide an ID and could not be matched with a DPS record. The department also asked for more information on the voter education program the state is required to roll out to educate voters about the new requirements. The secretary gave the department details of a request for proposals to implement a “statewide voter education program” that includes instructions on how to register to vote, how to cast a ballot, polling place procedures and photo ID requirements. Opponents of voter ID legislation, mainly Democrats and minority rights groups, have alleged the measure will disenfranchise the elderly, students and minority voters who can't readily access valid, state-issued IDs. 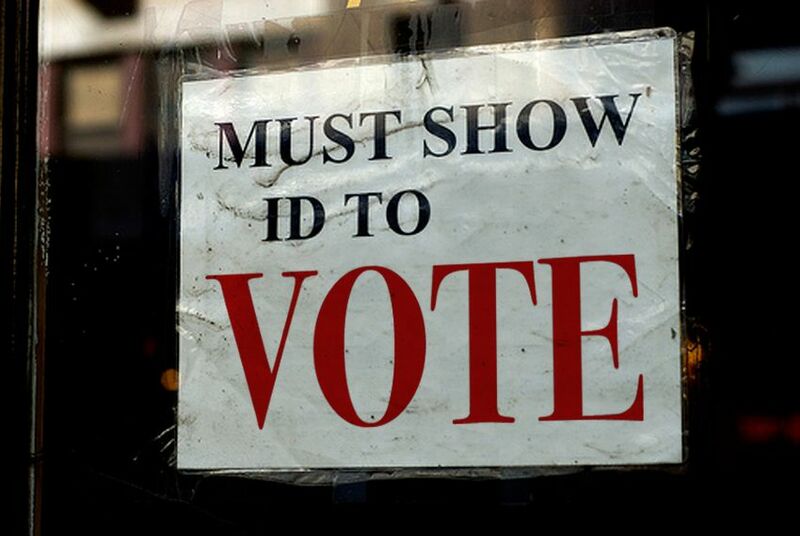 The state’s response comes the same week the Brennan Center for Justice at the New York University Law School released a study showing that 5 million voters in the U.S. could be adversely affected by recently adopted voter ID laws. The Texas Democratic Party released a statement Wednesday criticizing the secretary of state's response to the Department of Justice. It said it shows the state has no intention of complying with the department's requests. "The fact that they refuse to even try sure makes it seem like they’ve got something to hide, like how many of those voters who lack government issued photo identification are African American and Asian," the party statement said. But proponents of the measure say it’s an essential tool to stamp out voter fraud and point to provisions in the bill that will allow potential voters to obtain a free personal identification card to cast a ballot.